Description Guide the balls to their home-holes using the invisible forces of attractors and repellers. 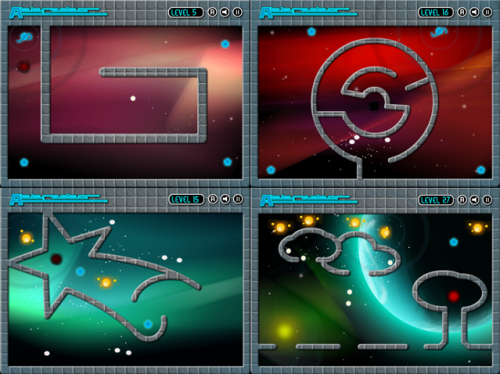 Use the mouse to activate the Attractors and play your way through the 27 levels mastering the forces in space. Click on the Attractors (blue hexagons) and repellers (little suns) and take the white balls to the black-holes.